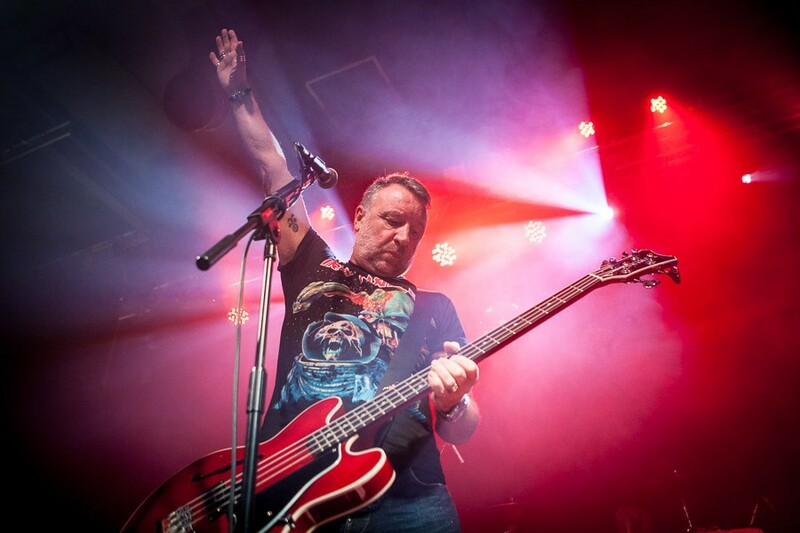 Peter Hook & the Light return to Liverpool with a show at the O2 Academy ahead of live album release, Getintothis’ Banjo is looking forward to it already. Peter Hook has a long association with Liverpool. As bassist for Joy Division he and his band played the legendary Eric’s club many times, graduating from support slots to headline act. Their gig supporting Buzzcocks at the Mountford Hall was that tour’s opening night and, as they blew Buzzcocks off stage, proof that Joy Division were moving out of the shadows and had started their ascendancy. Hook’s next band, New Order, played their second ever gig at Brady’s, a short six song set featuring most of what was to become their debut album. Other early shows followed at Plato’s Ballroom and two nights at the State Ballroom. It is fitting then that he returns to Liverpool to play both band’s Substance albums in full. In 1998, New Order released Substance, a double album that brought all of their singles together on one album, with the CD version adding all of their b-sides on disc 2. A year later, Joy Division followed suit, their album including, singles, b-sides and rarities. Peter Hook and the Light’s show at the O2 Academy will see them play these in their entirety, and a more impeccable set of songs it is hard to imagine. Both bands changed the face of music and hearing these albums played live promises to be an experience not to be missed. Whilst New Order have (rightly) traded on their name and their hugely impressive and increasing collection of excellent songs, Hook and his new band, The Light, have done things the old fashioned way; by slogging around the gig circuit, building an audience and gradually playing larger and larger venues. Hook has also had to contend with barbs from New Order fans, and occasionally from the band themselves, that he should not be playing his own back catalogue live. He has therefore had something to prove and he has set about it with gusto, defending his right to the songs he had a hand in creating and bringing them to a whole new audience. Hook’s logic is that there was an incredible wealth of Joy Division and New Order songs that were not being played live, indeed some had never been played live, so someone should dust them down and take them on the road. And if someone was going to do it, that someone might as well be him! Hook himself is something of a legend. Playing his bass so low it scrapes the floor but using notes so high they pierce the ears, his is an unmistakable sound and one nobody has managed to successfully imitate, despite legions of copyists in the early 80s trying their best. His books detailing tales of his time in Joy Division and at the helm of the infamous Hacienda are essential reading and his forthcoming third book, also called Substance, threatens to provide a warts & all version of life with New Order. So that’s a living legend, playing an enviable set of brilliant songs with his bass hanging past his knees. See you down the front when Peter Hook and the Light play Liverpool O2 Academy on March 3, 2017. Two months down, May 5 will see worldwide release, in CD and digital format, of not one but four live albums of the group. The albums will contain excellent quality recordings of Peter Hook and the Hook performing classic albums of Joy Division and New Order in their entirety alongside some other fan favourite numbers. All in all, a good half of the year for fans of Peter Hook or any of his associated acts. Previous ArticleLiverpool music gig guide – The Zutons, Elvana, INHEAVEN and much more. Next Article HBO’s Westworld – a threat to cinema or the Emperor’s new clothes?